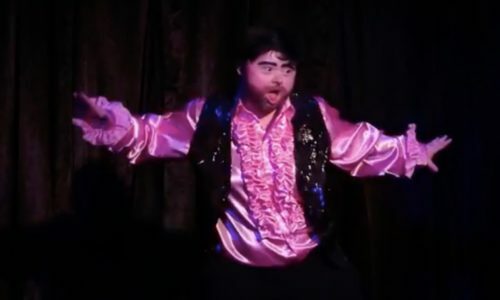 A British drag show called Drag Syndrome is highlighting drag queens and kings who have Down’s Syndrome, a genetic condition which can cause physical growth delays, intellectual disabilities and characteristic facial features. Drag Syndrome held its opening show last year in an East London LGBTQ venue. It featured six performers with Down’s and quickly sold out. Four more performers have since joined the troupe. They’ve performed in Norway and are currently planning a world tour. The troupe includes 31-year-old queen Otto Baxter who performs as Horrora Shebang and 20-year-old drag king Justin Bond who performs as Ruby Codiroli. Photographer Damien Frost recently posted beautiful pics of some of the performers online. An estimated 1 in 700 American children is born with Down’s Syndrome. In the U.K., two babies are born with Down’s Syndrome every day. The show’s lead organizer choreographer Daniel Vais created the show to “encourage arts organizations and performance troupes to ‘open up’ to [including] people with ‘learning disabilities,’” reports Broadly. Vais says it takes some extra planning and resources to work with performers who have Down’s Syndrome. His performers sometimes get quickly exhausted or need trained assistants who can help care for them. “[Vais is] adamant that Drag Syndrome isn’t a charitable project: This is drag it its purest form,” Broadly writes. Drag Syndrome is particularly groundbreaking because performers with disabilities don’t often get public exposure. During its 10-year run, RuPaul’s Drag Race has only ever featured two queens with visible physical disabilities: narcoleptic season 5 winner Jinkx Monsoon and temporarily injured season 9 competitor Euerka O’Hara. O’Hara was dismissed soon after her knee injury.